I’m not sure it gets any worse than opening up your kitchen cabinet, only to see something scurry across the back on of the cabinet. Nothing will make a woman scream more! 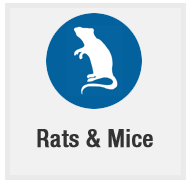 So if you have a mouse problem, take a look at some of these suggestions! There are 3 very simple ways to go about dealing with mice: poison, mousetraps, ultrasonic devices, or a cat. The first way, mouse poison. There are not poisons on the market that can help destroy mice to the seventh generation. Before using any poison, make sure to read labels and consult a professional. Poisons should not be used around pets, or children. The third successful way to get rid of mice……ultrasonic devices! All you have to do is purchase the device, power it on, and watch the little guys pack their suitcases.